LCCX is a powerful product offering, but it is entering a very tight market. There are plenty of exchanges already out. However, crypto trading is a market where consumers do not have a fan affinity towards an exchange; they simply want the best offering. This has allowed the reigning exchange to change almost on a quarterly basis. With LCCX offerings of convenience and security, it can easily penetrate the market. The only thing is that it will need strong marketing campaigns which can eat up initial budgets. Given the Robert Benwell has been able to scale his previous venture without any outside funding, he already has the know-how of resourcefully push into a market; now with some external funds, he can truly reach his full potential. 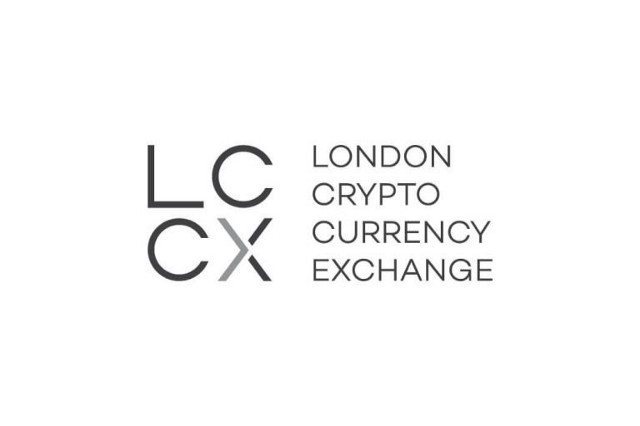 LCCX, or London Cryptocurrency Exchange, is a London-based digital currency exchange platform. The platform’s official website is LCCX.io. However, the trading platform itself has not yet been launched. A token sale for the platform’s LXT tokens began in March 2018. The goal of LCCX is to set a new standard when it comes to cryptocurrency exchanges. The platform also wants to solve crucial problems facing the industry — including secure coin storage, transparent team information, and better liquidity. Obviously, all cryptocurrency exchanges make similar promises about having high security, an easy UI, and low fees. Let’s take a look at how LCCX plans to accomplish that goal. What Problems Does LCCX Seek To Solve? Current exchange platforms are based in unpredictable jurisdictions where they face a threat of government takedowns or seizures of assets. Exchanges often suffer from hacks that lead to billions of dollars of lost funds. There’s little to no regulation of most cryptocurrency exchanges, and there’s no insurance against loss of funds due to hacks. Many small cryptocurrencies have poor liquidity on most exchanges. There’s an overall lack of choice, as most exchanges only have the most popular coins available to trade. Users face delayed orders and system downtime. Exchanges that do offer smaller coins often offer a subpar user experience — like high withdrawal fees — because they know customers face limited options. Exchanges can take months to answer a ticket. Many exchanges have no physical office address listed on their website. Clients can struggle to withdraw funds from the exchange, and many exchanges have no live chat support. LCCX aims to build an exchange with all of these problems in mind. How Does London Crypto Currency Exchange Work? Londonp Crytocurrency Exchange plans to solve many problems faced by other cryptocurrency exchanges. Overall, LCCX will emphasize strong security, low fees, good liquidity, and a regulated environment. The exchange will have a “world class matching engine” that will be capable of processing “over a million trades per second,” explains the official website. Users will be able to trade “hundreds of crypto assets” across that matching engine. LCCX aims to have 200+ crypto assets available for trading within 12 months of going live. 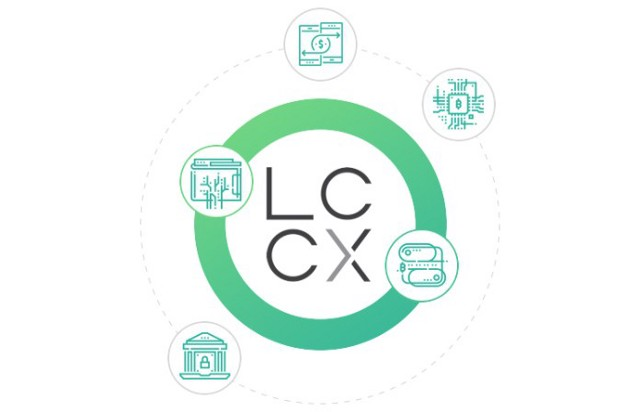 LCCX will also have a market making service that allows users to make their own markets for specific coins. Lower market cap coins suffer from low liquidity and huge spreads. LCCX’s market making service aims to solve that problem. And, on top of all of this, LCCX emphasizes 24/7 customer service, including round the clock live chat support for clients, multi-language support, and multi-device support. Overall, LCCX aims to be “the most trusted crypto currency exchange in the world by addressing a combination of current industry issues”, including all of the issues mentioned above. Meanwhile, the platform uses the LXT token as a utility token. You can use the LXT token to pay trading fees, earn money through the referral scheme, or to earn prizes from trading contests. Demand for the token is expected to grow as the exchange’s userbase continues to grow. 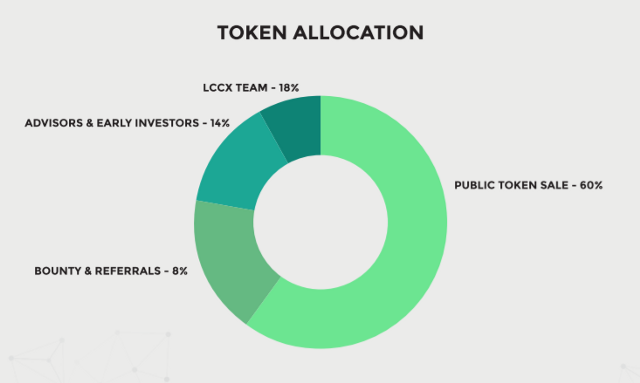 The LCCX ICO will see the release of LXT tokens. There’s a total supply of 100 million LXT tokens. The tokens are ERC20 tokens on the Ethereum blockchain. Of the total supply, 60% are allocated to the token sale, including the ICO and pre-ICO. The remaining tokens are allocated to the team (18%), advisors and early investors (14%), and bounties and referrals (8%). LXT tokens will be sold at a rate of $0.15 per token. The company will be accepting bitcoin, Ethereum, Litecoin, and Bitcoin Cash. The token pre-sale launched on March 12, 2018, with the general ICO continuing until April 30, 2018. Tokens will be distributed on May 7, 2018. Who’s Behind London Crypto Currency Exchange? London Cryptocurrency Exchange, as you may have guessed from the name, is a London-based cryptocurrency exchange. The idea for the exchange was formed in Q3 2017. The platform aims to launch before the end of the year. Key members of the team include Robert Benwell, founder and CEO. Robert is a serial entrepreneur with experience in online marketing and tech. He most recently started and sold Optimal Hosting, a web hosting and domain names solution based in London. That company launched in 2012, then scaled to over 30,000 paying customers before selling to a larger American competitor in 2014. Other listed members of the team include Alice Copilet (Chief Legal Officer), Mark Wilson Hooper (Head of Network Security), Praveen Dagdi (Lead Exchange Developer), Suvi Rinkinen (Head of Business Development), and Janica San Juan (Head of Marketing & PR).